It’s simple: we know Volkswagen. That’s how our VW Parts Department offers top-of-the-line parts and accessories, including factory-authorized parts, for our customers. The Bud Brown Volkswagen Parts Center is located in Olathe, KS immediately off I-35 and Santa Fe, just a short distance from Lenexa, Overland Park, Shawnee, Mission and Kansas City. Whether you’re driving a brand new Volkswagen or a well-loved classic, our second-to-none parts selection features the most up-to-date availability. Manufacturer-recommended replacement parts are an important part of maintaining your Volkswagen as well as its’ optimum performance. By offing the same high-quality parts your vehicle was built with, as well as the largest inventory, you’ll have the piece of mind you need. If you’d like to order any part, you can simply do so from our complete online parts catalog by year and model. When you need parts or accessory installation service, just make an appointment with our handy online scheduler. Looking for the VW Lifestyle? Visit our DriverGear Catalog and check out our full line of Real Volkswagen Accessories and DriverGear merchandise. 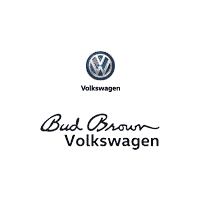 Bud Brown Volkswagen also stocks a great selection of tires with competitive prices. Brands include Continental, Pirelli and Michelin. Find our more at our tire store.